How much does the current landscape of Boston, Massachusetts, resemble the place that Captain John Smith referred to in 1614 as “the Paradise of all these parts“? 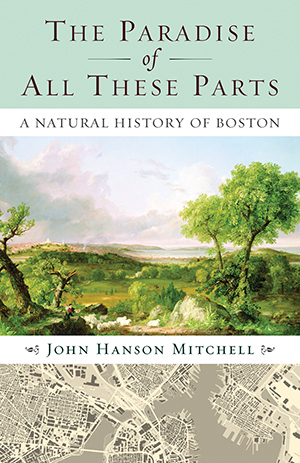 John Hanson Mitchell explores a variety of habitats as he ranges outward from the core of the peninsula where the Puritans first settled to the ancient rim of the Boston Basin, within which the modern city now lies. Endlessly readable and full of personality, The Paradise of All These Parts offers Boston visitors and residents alike a whole new perspective on one of America’s oldest cities.